This is a quote from Murder Must Wait by Arthur W. Upfield and I love it so much, let’s unpack it to find out why. The first sentence ‘Robbery at the Public Library’ is really awesome, it tells me that there is good in the world with people wanting to read and doing their best to ensure they can. It’s a great title for a book. ‘People will read books…’ A good phrase giving us the idea that reading is something people will do whether they’re given permission or not. I used reverse psychology with my kids and once they were able to read told them they couldn’t. I think it worked, they now read as much as they’re able. ‘…the government has cut down on importation of books…’ Show us roughly where we are in history. 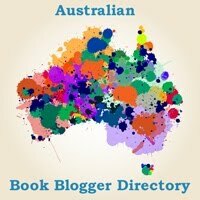 There have been bans on bringing certain books into Australia for many years, here are two links which don’t tell me the details I was hoping to find, Auslit and Wikipedia. Judging by the sentence at that point in time the government were probably not letting as many books come into Australia as they were before, not just censoring the shipments of books. Then Bony casually changes the subject and asks for a cup of tea. Just brilliant. The only problem with this paragraph is the item in question was not a book but an Aboriginal carving. While looking for information to include in this article I came across a pair of articles which are of interest here despite being slightly dated. On BookThingo’s blog they discuss the issues surrounding parallel importation, a problem that wouldn’t have been around in the 1950s when Murder Must Wait was written. It’s a lengthy article in two parts but well worth reading, part 1 is here with part 2 here.